Greatness is magnetic. It is also irrefutable. We know it when we see it, instantaneously, radiating off of the great person, and while there will always be contrarians and truthers, poring over the evidence in an attempt to doubt the greatness at hand, the whole point here is that if it is refutable, it is not greatness. Greatness is obvious in athletes—just look at what Serena Williams or LeBron James does on any given day—and it is occasionally obvious in art. (Nobody shrugged at Moonlight, for example.) Sometimes, an act of greatness seems to combine the two. 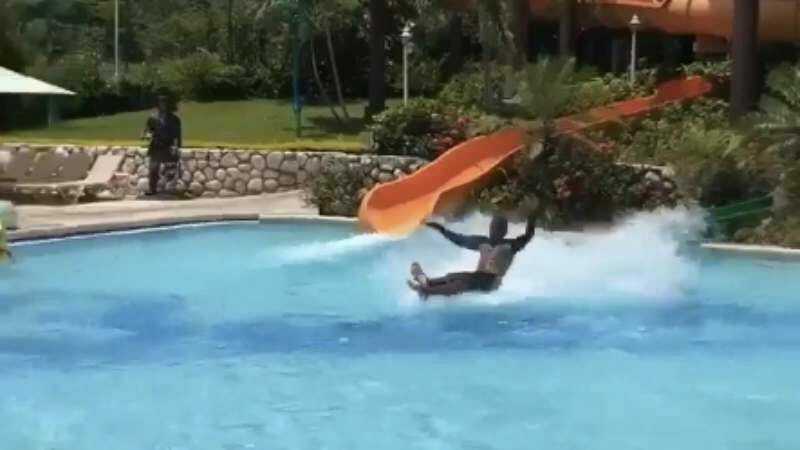 Twitter user Morgan Evick captured this moment of transcendent human achievement while on vacation in Jamaica. The exact name, whereabouts, location, dietary habits, and molecular makeup of the young man in the video remains unknown; it is safe to assume that shortly after the filming of this video he turned into a beam of pure energy and returned to his home world, much like the conclusion of the 1995 film Powder. If you would like to see many agog GIF responses to this feat, please follow the link on Twitter, where it remains a source of self-perpetuating energy, possibly until the end of time. Sometimes, the only proper response to something is a SpongeBob macro.